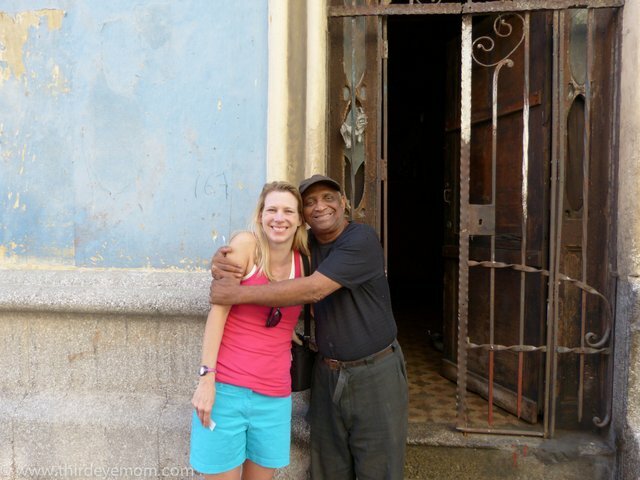 InsightCuba caught up with Nicole Melancon, a writer, advocate and global volunteer from Minneapolis, MN, following her Classic Cuba tour with insightCuba. A world traveler and dedicated volunteer for insightCuba's parent company Cross-Cultural Solutions, Nicole had wanted to visit Cuba ever since she was a teenager, spending Christmas holidays in Key West, Florida. Nicole Melancon: I am a writer, advocate and global volunteer residing in Minneapolis, MN with my husband and two children, Max (9) and Sophia (7). I have been fortunate to travel my entire life, to over 35 countries. I majored in French and International Relations and studied in Paris and Marseille, France during college. I had a corporate career for many years before children, but found my true passion in using my voice to share my travels and stories from around the world. For the past three years, I’ve worked hard at developing my personal blog www.thirdeyemom.com where I write about travel, culture and social good. I am passionate about giving back and using my blog to advocate for a variety of international non-profits and causes such as poverty, access to water and sanitation, education, women and girls rights, and global health. I also try to volunteer once a year in a developing country and have so far worked in Morocco, Costa Rica, Guatemala, and Honduras. I have always dreamed of going to Cuba since I was a teenager, while spending Christmas holidays in Key West, Florida. Cuba has always intrigued me by its history, culture and relative forbidden nature to Americans. I wanted to see Cuba for myself, to form my own opinions. It was also very important to see Cuba before it opened up to Americans. 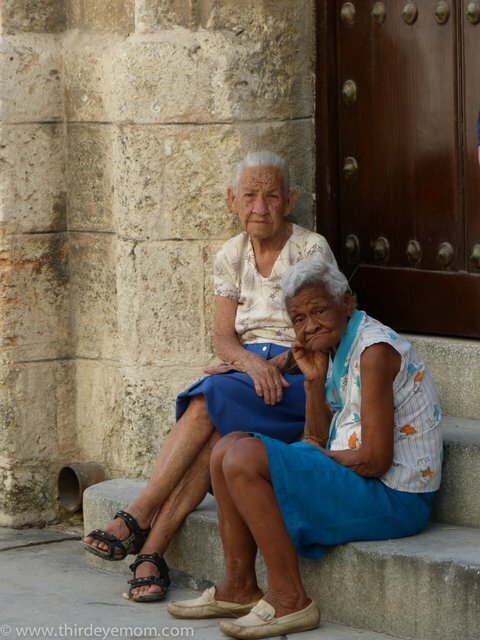 I love how Cubans spend a lot of time socializing on the front steps of buildings. I saw these girls at Jose Fuster's Community Art Project. They live in the community and I loved this picture of them on the bench with art surrounding their smiles. 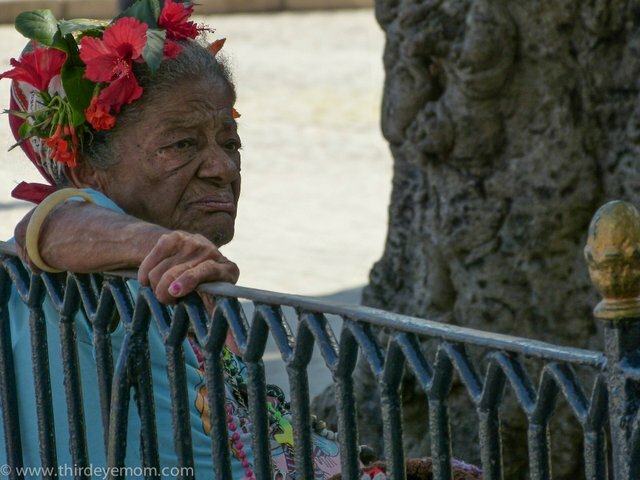 My favorite thing by far in Cuba was the amazing, warm and welcoming people. Although my Spanish is not 100% fluent, it didn’t matter. I also love history and Cuba fascinated me more than any other place I’ve been to. I often felt like I was in a time warp, a place that had been frozen back to 1959. The old cars, the decaying buildings, the non-stop salsa and son, the colors and smells of Cuba all made me fall in love with her inescapable charm. I had volunteered three times with Cross-Cultural Solutions, insightCuba's parent company, and knew that they were outstanding. I had also had a few recommendations from fellow travelers who said that insightCuba is the best. I reviewed the website and signed up right away! Which tour were you on? Can you share some highlights? 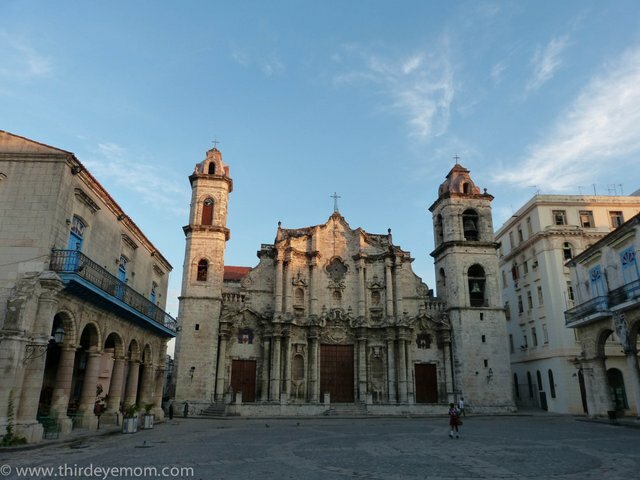 I selected the Classic Cuba tour, which brought us to Havana, Trinidad and Cienfuegos. I only had a week, so this tour was perfect for what I wanted to see and the amount of time I had. The real Cuban: Saw this man on his donkey in Trinidad. My trip to Cuba was absolutely amazing and above and beyond what I imagined. I had so many highlights, and some were actually a bit unexpected. (1) Going on a people to people tour was amazing. Instead of being a tourist, I felt as though I was a student taking a university class. We received firsthand knowledge into a large variety of Cuban life, ranging from the arts, architecture, music, dance, gastronomy, history and their day-to-day living. It was phenomenal and there is no way I would ever have learned so much going to Cuba simply as a tourist. We also got to interact directly with Cubans, every single day and at every meeting. (2) I have never, ever traveled with a group. I always travel independently and was very weary of traveling with a group of 20 strangers and having to be on a “tour.” Yet the first day we were all together, I realized how wrong I had been! Everyone was fabulous and well-traveled. Meeting this wonderful group of fellow Americans, most of which were much older than me, opened my eyes and made the trip even more special. I left the hotel at 7 am and arrived at Plaza de Catedral. Had the entire place to myself and watched Old Havana wake up! (3) A real highlight for me was when I rose early or stayed out late exploring Cuba on my own. Our tour began usually by 8:30 or 9 am, yet I was on my feet with camera in tow by 7 am, snapping pictures and meeting local Cubans. I returned to places we didn’t get to visit instead of returning to the hotel to relax or lounge by the pool. It gave me a well-balanced trip and also gave me one-on-one opportunities to meet friendly people in the area. Met these men while exploring on my own. They played music and danced with me. Fun memory! 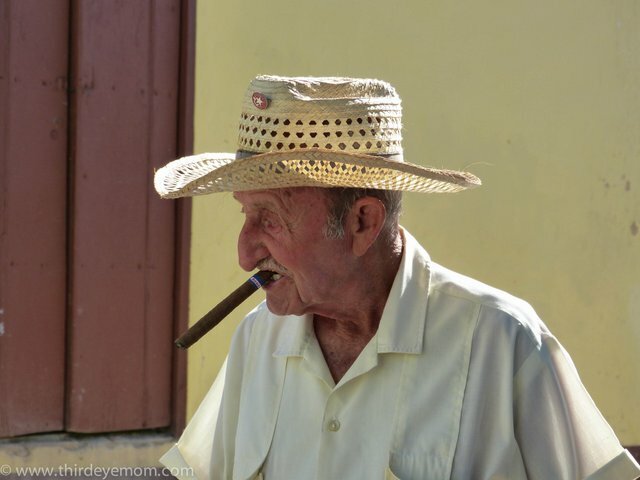 One afternoon I took a walk exploring Central Havana and met this man. We chatted for a while and he played different songs on his guitar for me. It was fantastic! (4) Lastly, some of the highlights during my trip included salsa dancing at the Casa de la Musica in Trinidad, each and every fabulous meal, and watching the Buena Vista Social Club in Old Havana. How was it to travel as a solo traveler with a big group? I was surprised that traveling with our group of 20 was more fun than I imagined. I had a lot of concerns with group travel but our group was fabulous, well-traveled and easy-going. I also found plenty of opportunities to sneak off on my own, before and after the tour. Normally, I would never go on a tour but the way insightCuba structures this tour, I would do it again! It was marvelous! We entered an enormous villa in Old Havana that was being restored and took a peak into the courtyard. I saw this young man taking a break and it kind of symbolized a lot about Cuba to me. The pride and hard work, difficult life and hope for renewal. You’re a mother of two. 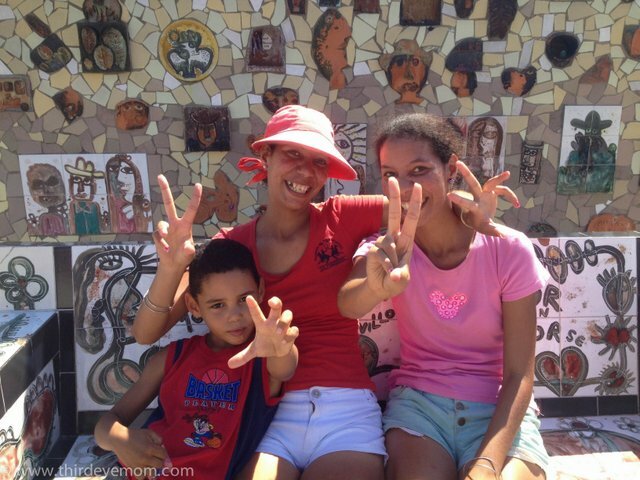 What did you think of Cuba’s children and what lessons have you learned to share with your kids? As a mother, I was extremely impressed by the level of family commitment and involvement in Cuba. Many families live together with extended family, which is wonderful for the children. I also am envious of some of the social services that children in Cuba have, that we don’t in the US. Better maternity care and leave, free education, and excellent universal health care. Another thing that impressed me with Cuba is how much more integrated Cubans are by race. Racism exists, but in my opinion not nearly as much as it does in the US. These are important lessons the Cuban children are receiving: that everyone is equal. 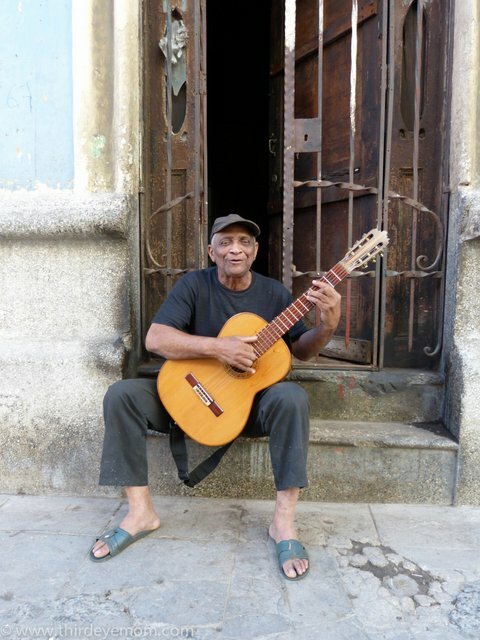 What’s your perspective on social good and advocacy in Cuba? I was very impressed by all the social good work being done at the community level. Of course there is a lot being done by the Cuban government, but I was inspired by how Cubans saw unmet needs in their communities and established their own programs to help. Such examples include the Jose Fuster’s Community Art project, Los Manos Music School, and the Children’s theater. Go now! That’s my first piece of advice. Although we don’t know for certain, Cuba will someday open up to travel and I am not sure what kinds of changes it will bring. Second, go with an open mind, free of any expectations and enjoy every single moment of it. It is a lovely, magical place and by far one of the best trips I’ve ever taken out of many. 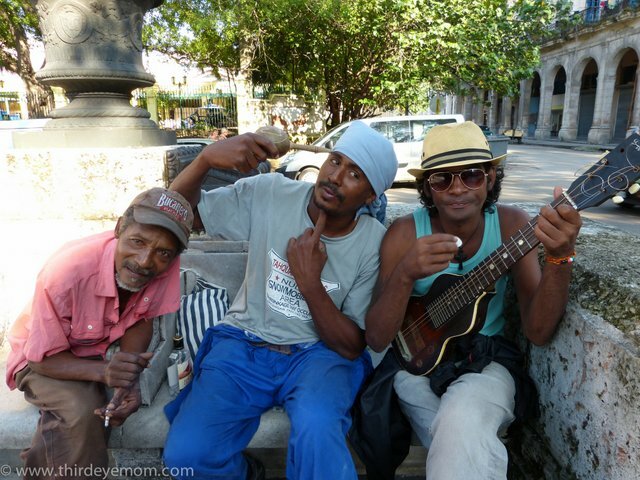 I fell in love with Cuba and was cast by her magical spell. It is a wonderful place and I hope to go back soon!